Just as we wrote that Ferrari's latest creation has sold out, now it seems like BMW's latest bad boy, the BMW M4 GTS, is sold out too. Also reported by Autovisie, all 700 units of the car worldwide have found new owners. We hope eventually one or two units make it to our shores. 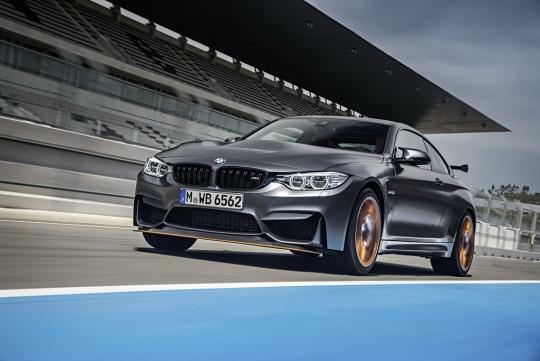 The BMW M4 GTS is one of BMW's most technologically advanced products with it featuring two BMW-claimed world firsts: a water-injection system designed to increase power, and OLED (organic LED) taillights that can be formed even thinner than existing LED lamps. With 493bhp and 600Nm produced from its uprated twin-turbo 3.0-litre engine, the car maxes out at a limited 305km/h. The car is nearly 90kg lighter than the BMW M4 and comes with a three-way adjustable coilover suspension. Nice car, but I never got what's so revolutionary about a water injection system. Lots of tuners have been running water injection and even methanol/water injection for many years in many cars, and it's not that hard to rig up. Many aftermarket ECUs can also be programmed to operate the system automatically at predetermined parameters of boost, rpm, etc. I suppose it's remarkable because this is a factory car that comes with the tech out of the box, so warranty is assured, yada yada. But technologically, it's not anything to write home about. Sweet car, though. Did they really need a limiter at 305 km/h? Why not just leave the car limited "naturally" (i.e. aerodynamically)?